We need to start with a little bit of honesty here, mainly, that we had no idea that Mitsubishi had a hybrid SUV on the market. 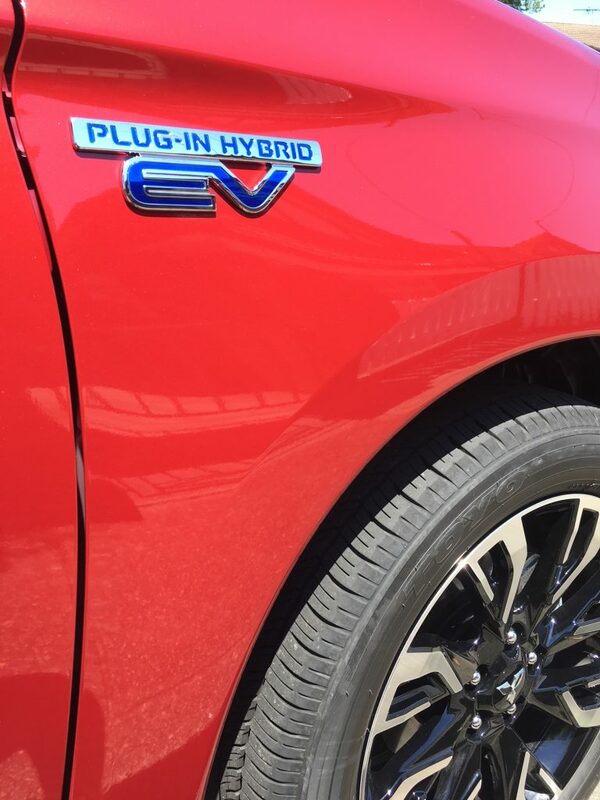 We knew Mitsubishi, we knew the Outlander, but did we know they were a hybrid? No… we didn’t. So it was a lovely surprise for us when we picked up the Outlander PHEV for a test drive. We are no strangers to Hybrid vehicles, nor full electric machines. In years gone by we were incredibly lucky to get behind the wheel of the magnificent BMW i8. A thing of beauty, and probably a car that’s in our Top Ten. We’ve also had the pleasure of driving the Tesla Model X, and you can see our review here. Finally, we attended an awesome discussion on the future of mobility… which covered off many issues with regards to petrol cars, as well as passenger drones and other futuristic options. You can read more about that right here! So, to summarise our little moment of self-publicity, we’ve tried to educate ourselves on some of the Hybrid and full electric cars on the market at the moment. 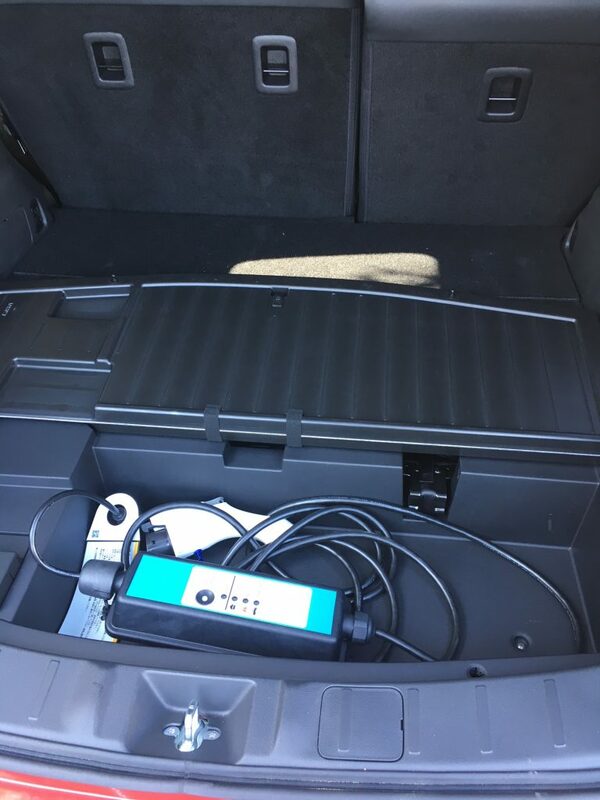 The first thing to mention when it comes to the hybrid Outlander is that you can charge this from home, it will take around six and a half hours to completely charge it, but hey, you can do it at home. To give you an indication of the difference between that and a charging station, its about 3 hours more to do it at home. But let’s be honest, you could come home from driving the Mitsubishi for the day, and get it on charge whilst you kick back and catch up on the latest episode of The Bachelor! Look carefully, and you can see some cool Adidas sneakers in this shot. They aren’t included in the drive away price! You can also monitor the progress whilst you’re on the sofa wondering who will get a rose at the latest ceremony, Any car which has it’s own APP is a winner in our book, see this from the Mitsubishi website itself (this applies for the Exceed models only. 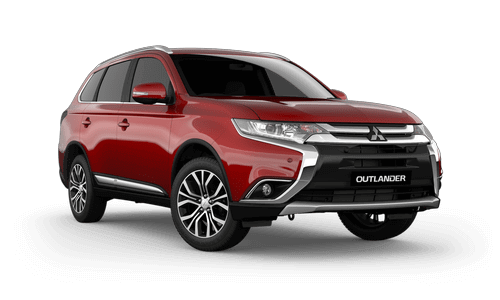 We should clarify, that the Outlander PHEV is a hybrid, and the electric range for this car is around 54 kilometres. 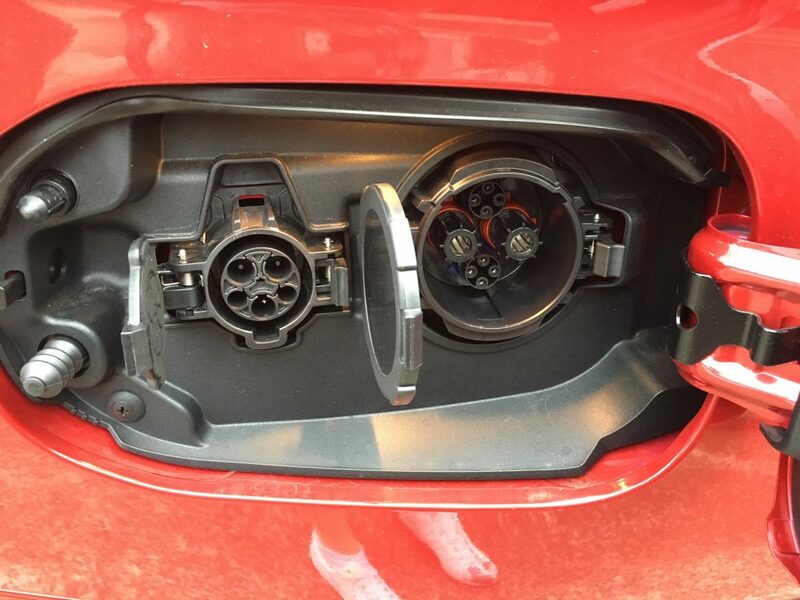 Once that’s done, the car automatically switches to it’s petrol engine… so fear not! When the combustion engine takes over, it also helps recharge the batteries whilst you drive. 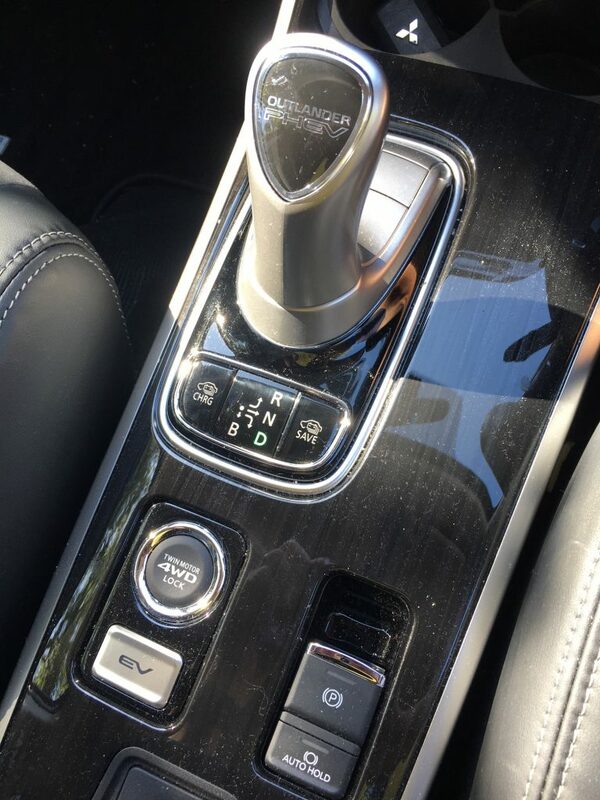 So what did we like about the Outlander PHEV, firstly the interior was spacious and had a luxurious feel. Apple Play is always a welcome addition to any car, so to have this was a big tick for us. Drive-wise we couldn’t fault the Hybrid, there was no hint of any lag in acceleration that you might think would happen, and we enjoyed the driving experience. It gripped the road well in the city driving on the school run, and when we did try it on a dirt road we found it performed even better. Size-wise we couldn’t fault it either, and whilst we haven’t spent as much time as we usually would on this topic, it ticked the boxes in terms of space in the back for child seats and also the boot had more than enough space for the usual things like prams, shopping and possibly, if you’ve been on you best behaviour, the golf clubs! Don’t go looking for the spare wheel though, there isn’t one in this car, but you do get a kit to help you re-inflate the tyre should you need it. 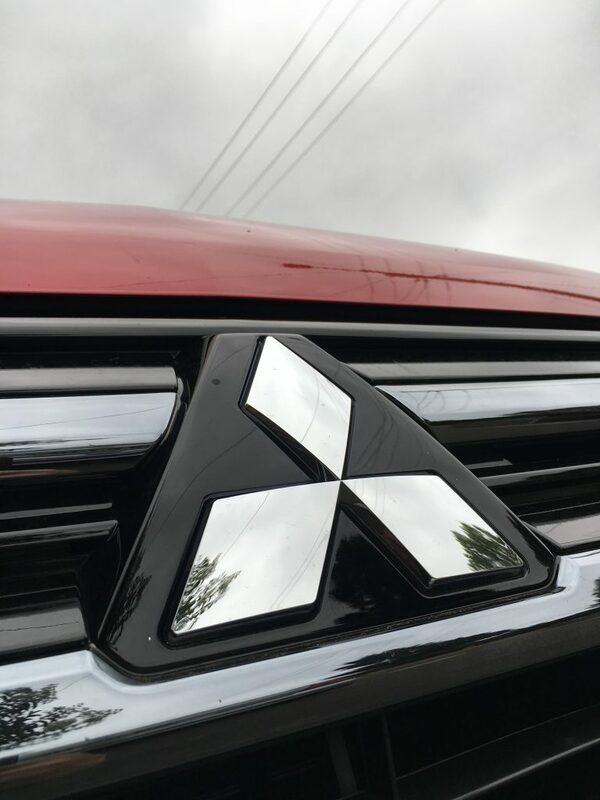 Overall, BRAVO Mitsubishi, this is a great car, and as you can probably guess from the tone of our review, an absolutely pleasant surprise for us here at Dads Stuff. ← KIA STINGER REVIEW – IT LIVES UP TO THE HYPE!